Guest blogger, Opeyemi Adediran shares his thoughts on the controversy surrounding erudite scholar and Nobel laureate, Professor Wole Soyinka, and his pre-election statement regarding the possibility of a Trump presidency. Ope is a social critic and occasional writer who holds a Phd in Meat Science and Animal Products from the University of Ibadan. He enjoys reading and tackling trivia questions. After Donald Trump’s shock win in the recently concluded American Presidential elections, a lot of backlash has been generated. Especially from and about those who didn’t give him any real chance of emerging the next POTUS, and who probably stuck out their necks too far in opposing Trump’s ambition due to his controversial and unconventional campaign style. One of the personalities experiencing such backlash is Professor Wole Soyinka, Nigeria’s only Nobel Laureate. He had said in an interview prior to the elections that he would cut/destroy his US green card (which entitles him to permanent residency in the US) should Trump emerge president. Since Trump has been declared winner having garnered sufficient electoral college votes, many people have called on Prof. Soyinka to fulfill his promise. Though it must be mentioned that the manner in which some of these calls were made was disrespectful of Prof. Soyinka’s age and achievements. Because in Africa, and especially among the Yorubas (which Prof. Soyinka is an extraction of) respect for one’s elders is taken as very important. 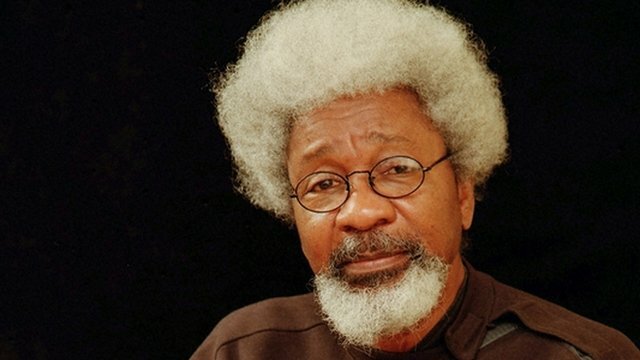 However, paradoxically there has been another coalition of persons holding brief for Prof. Soyinka, defending him (sometimes with insults) against those asking him to abide by his words, display integrity and destroy his US green card as he stated before the elections. Some of his defenders have claimed he was only speaking sarcastically/metaphorically in the interview. Yoruba culture, undoubtedly rich, contains some aspects which I believe should be reviewed to make it richer. For example in Yoruba culture, it is believed that an elder cannot lie, especially when s/he is involved in an issue with a younger person. It is also believed that sometimes an elderly person can take advantage of a younger person without repercussion on account of being elderly. It is also a taboo to use one’s left hand to give money or anything to someone else, such that some parents forcefully converted their children who were naturally left-handed to become right-handed (occasionally with weighty ramifications for such forcefully converted children). Being a Yoruba boy myself, I believe the rationale of most people defending Prof. Soyinka is most likely predicated on the first two examples on aspects of Yoruba culture mentioned above or any other closely related one(s). Personally, having watched a clip of the interview where the remark was made, where he even made reference to Chief Olusegun Obasanjo’s public tearing of his party membership card, I believe Prof. Soyinka should stand by his words, act with integrity and do what he said he would do if Trump won. A man’s word is his bond. He is a role model to many people, and he might be passing an undesirable message across that it’s okay not to honour your words if you don’t get a desired outcome. And if Prof. Soyinka has changed his mind about it, he should say so and it is allowed especially since he is an elder. In conclusion, I’d like to state a cautionary reminder to people not to make dares or promises that would be hard for them to fulfill out of excitement or bandwagonism especially as regards events which odds do not favour to happen, because we’re not in absolute control of the odds. After all, it wasn’t that long ago when Gary Lineker had to present a TV broadcast of BBC match of the day wearing only his underwear because he had made a bet about it, thinking Leicester City FC would never win the 2015/16 BPL because the odds were overwhelmingly against them at 5000:1. The world as we see it, particularly in recent times has become too unpredictable for anyone to stick out their neck over matters that are subject to the vagaries of life. Elections 2019: Let The Games Begin! Thanks for the platform Lolo. I do not think this is an issue of culture and respecting ones elders. Wole Soyinka is a public figure and in the democracy we are in, anybody both young and old is free to speak out their mind. What baffles me is the fact that people take these figures for their words. Donald Trump said he would jail Hillary Clinton and ban Muslims from entering America. How is that really going to happen? Soyinka was obviously poking fun. I mean who would want to tear up a green card in this harsh environment we are in? He can’t do that. I however didn’t expect someone of Soyinka’s calibre to do such. It’s folks in entertainment and media who do and that’s just for publicity stunt as in the case of Gary Lineker. I do agree with Mr Ope that Soyinka should come out and address the issue because if he doesn’t it could taint his reputation. It would do us well if we stopped believing everything that came out public figures mouth. i would rather my comment from last contributor, by saying that ….it would do the public figure/s well if they stop living in the euphoria of media. Prof Wole going by all his ‘yorubaness’, public figure status, international citizenship, Nigerian Statemanship, public intelligentialism and many uncountable things that stands him should never have made that statement. Secondly he has made an attempt at speaking out on it after the election, but sadly his rejoinder apart from calling us (am one of them ) who are trying to help him save whatever his left of fast depreciating standards names was grass display of arrogancy. Taken his youthful arrogancy and some level of outspokenness earned him his high position today, for crying out loud he is on the lagacy treshold ofhis life, whatever he does at this stage are some of the things that would form bulk of his epitaph and fond memories that people would keep of him. Prof. Wole Soyinka should by now be the living oracle of the Yorubas, whose words could be taken and held in high esteem like verse from scritural note of some missionary religions we have around today. Unfortunately his stand alone (one-man sovereignty) is rather regretable for him, the yoruba, Nigeria, Africa and indeed the Blackworld at large. As yoruba elder and his educational accomplishment he should be in the forefront of Yoruba, socio-political and economic leadership. As a Nigerian should be a detriabalized, (almost like small god) STATESMAN. 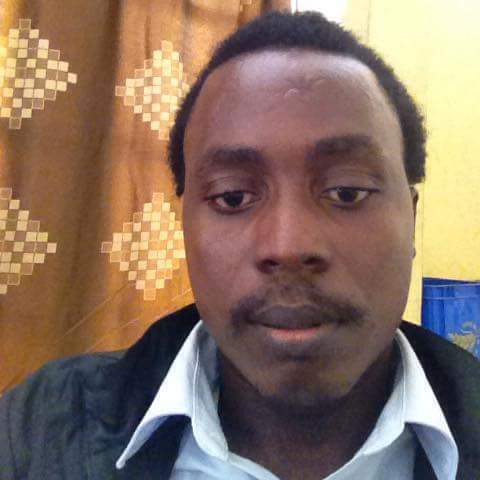 As an African, he should be a pan- African citizen without borders. INTERNATIONAL Citizenship of WS by now should not require any paper what so ever (not even the green card in question) to enter any nation on Earth. From his own recent utterance as reply to our calls to be a man of integrity and omo odudua rere, this is a status nations have accorded him but which he rejected out overrated arrogancy.